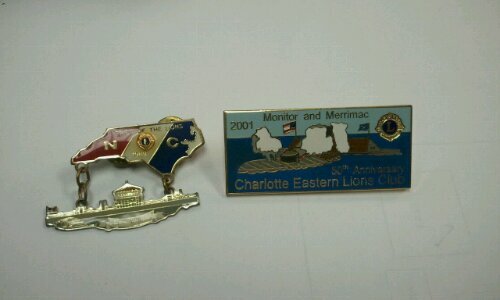 Lions and tigers and pins….oh my! A little something for the new exhibit….. So I spent the afternoon with Jim and Jeanette Gurney today. I can’t even begin to tell you what a wonderful experience it was – from the moment they walked into the museum to the moment he autographed my Dinotopia book. He explained his paintings – how he creates them – what he does to get the lighting, the poses, how he gets the costumes just right. He described the inspiration he found in the cracked paint of a Chinese restaurant’s sign. He spoke in detail of the paintings he has loaned us. And then Jeanette handed me his Moleskine and I was lost in its pages. 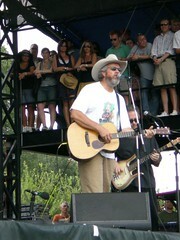 OK – so actually this is a test….but who wouldn’t want to see Robert Earl Keen….hmmmm? Isn’t a swede a rutabaga? So we just saw Be Kind, Rewind yesterday, and now I want to swede everything I see. I think I shall start with…Be Kind, Rewind. Eh? So very sorry to have gone missing for so long. But here’s something I wrote for a magazine and I was pretty happy with how it came out. I wrote about this show back in January – but here’s the official entry about it. So it was 31 years ago when I first heard it. My mom brought the 7″ home to me – and it was the kind of 7″ that played at 33 1/3 and had the little hole, so you didn’t need an adapter. And the music was… different. Different in that way that you know that it’s important but cannot articulate just exactly why. You know that it’s made a difference in your life that is unquantifiable – but profound. It resonates in your bones. And so 31 years later, I stood at the foot of the stage of the Bowery Ballroom this January trying to figure it out. I remained speechless – but began to understand. You see – it’s about the music. And it really doesn’t matter what music it is. It only matters that it speaks, and surrounds, and resonates when you need it to. And when it does this for a roomful of people separated by time and space and circumstance on any other day than that very day – then it becomes sentient and greater than the sum of its parts. Ruby, Love is Like a Cuban Crisis, S’il Vous Plait – they are writ deeply in my bones. After three decades I can still sing all the words. So when I heard that they were reuniting for a single show – well – I would move heaven and earth to attend. And while it wasn’t that hard and no gossamer clouds, harps, or Promethean vistas needed to be altered – I did book the passage. The funny thing was…folks at work seemed to understand without asking for explanation. There were no days for me to take off (though I haven’t had a vacation in years…) and yet – they found them and sent me on my way to the promised land of my youth. My husband had glimpses – perhaps a small inkling of what it meant. And he went willingly to a land north of the Mason-Dixon to hear and see and greet people he does not know, meet friends he has never met and hear music that was foreign at first – but became imminently clear once it began. And thus it was that I finally came to see the Sneakers after 31 years. The class of R J Reynolds Senior High was out in full force. But unlike any forced and artificial 10, 20, 30 year reunion, or worse – this was a reunion of the ones who simply knew. The ones who knew how magical the place, the circumstances and the people were – regardless of a year attached to them – regardless of a number. Class of ’71, class of ’81, class of back then or right now and it just didn’t matter. Imagine Big Star. Imagine Blue Cheer. Imagine the Raspberries. And then forget it all and just listen. Sneakers was all that and none of that. Chapel Hill was writ large on the far side of Bowery that night. And I was on the front row. Then, the dBs came on. They had been the soundtrack to my Senior year in high school – and I had seen them more times than I can count before they imploded in the late 80s (oh sure – Peter Holsapple and Will Rigby soldiered on for awhile until 1994…but it Just. Wasn’t. The. Same.) And I know, I know, bands need to evolve to keep vibrant and alive but when Chris Stamey left to pursue a solo career, things just were never the same (like a Lennon leaving a McCartney, a Fripp leaving an Eno, or a Bjorn leaving a Benny). And for a few hours, it wasn’t. If you can’t make it to the Orkneys…..why not bring the Orkneys to you?